I know you are probably tired of reading I’m busy and don’t get enough time to blog. I also have a YouTube channel now so I tend to balance whatever time I have. As I mentioned in one of my posts, I’m studying for Diploma of Graphic Design and it’s almost the last stretch now. I’ll be graduating in 3 months time and thing have been really busy with me trying to finish up all the assignments for the final academic review. It’s stressful but I’m enjoying it so far. I will have to start looking for an internship in January. But I’m not going to worry about that now. We are going to India for Diwali, we’ll be leaving on 10th Nov. I will get back on 18th because I hae work to do but my husband will stay on a little longer. I’m really excited about the holiday and hoping to get some work done. I’m also designing my Portfolio website as part of the diploma and will let you know as soon as it’s up. It might take up to a month though. My aim is to get a Graphic Design job and eventually design book covers in the future. Lets see how that goes. We also moved into our new house because the lease for our previous house was up. We moved to the extreme west of Singapore. We lived in the extreme east before. So it’s a good change. But packing/ unpacking is a real pain. On a brighter side, this is the view from our house now as opposed to the kitchens we saw from our previous house. 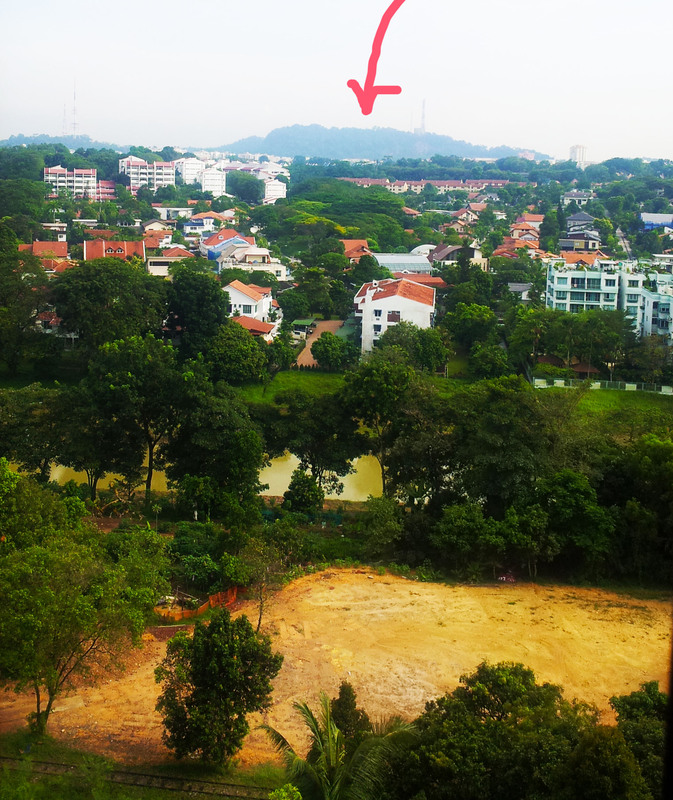 The thing that the arrow points to is the Bukit Timah Hill which is the largest hill in Singapore. Yeah…I know. But I’m kind of excited over it, no idea why. I guess 2 years of looking at the insides of people’s houses does that to you. In spite of the lack of time, I have been reading quite well. I notice I read more when I have lots of work just to take time off from it even for 15 mins. I’ve read some very good books that were on my shelves. Obviously I haven’t reviewed all here. I also read 50 shades of Grey and didn’t like it at all. I’m still thinking if I should review it here. Also, a few weeks back, on my birthday, we went to Desaru, Malaysia for 2 days which was short but rather fun. Here is a video I did on my YouTube channel if you are interested. You are busy! I hope you get to design book covers! Designing book covers sounds like a great job! I’ll keep all my fingers crossed for you and hope the course goes well and leads to the perfect job. Good luck! Good luck with the design job! That would be very cool. I’ve been thinking of you, Violet! Glad to see your post! And I’m so glad to hear about your course and that you’ll be graduating soon! It’s fun isn’t it! It’s too bad that I didn’t take up a career upon my graduation (at that time I was thinking of pursing it for my interest), anyways it’s been a great experience!!! Hi Violet! Good luck with your studies, I have no doubt it’s a lot of work but at least the end is near! I recently moved too, so I know from recent memory how much of a pain it can be! hehe! I’m glad it was a positive change for you. Your new view seems gorgeous! Also I forgot to say, though I am certainly very late for this : your new look is gorgeous! Congratualtions on almost being done with your training! 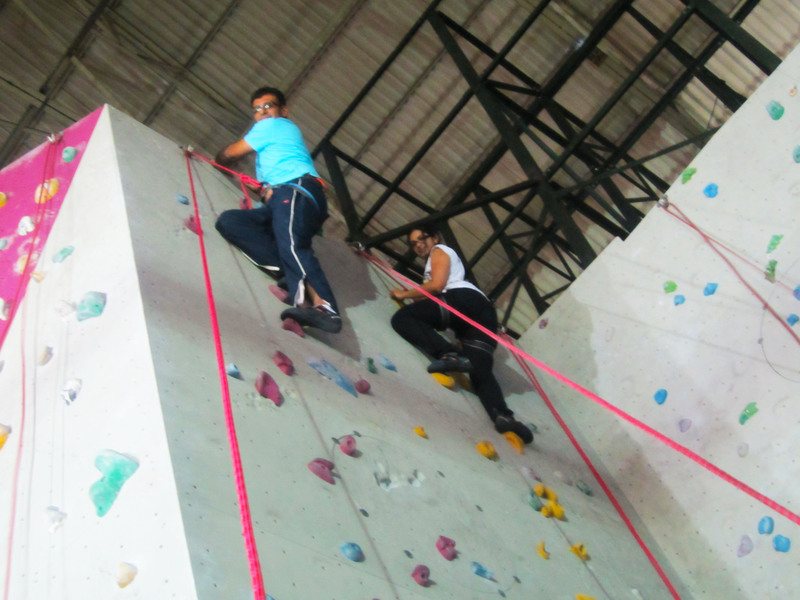 And I love that you rock climb together. I always think it looks like so much fun, but I’m kind of a chicken when I get too high.